Vim deserves its reputation as one of the most powerful tools in a developer’s toolbox — but it's not exactly friendly and approachable. Even long-time users rarely employ more than a fraction of its capabilities, and new users are often left wondering why so many apparently-sane people won’t shut up about how awesome it is. The stark UI, the steep learning curve, the host of idiosyncrasies... mastering Vim is a challenge, and that’s putting it politely. In this hands-on workshop, you’ll learn why it’s worth the effort. We’ll quickly review the essentials of Vim, like modes, motions, operators, and commands, with an emphasis on why Vim works the way it instead of just how. With the fundamentals firmly established, we’ll work our way through an array of topics like maps, macros, regexes, registers, settings, scripting, customization, configuration, and more, including using using Vim to tackle tough, real-world tasks that bring other editors to their metaphorical knees. In short, this workshop will show you how to tailor Vim to your needs, use it most effectively, and integrate it into a modern development workflow. Along the way, of course, we'll also cover dozens of tips, tricks, and techniques to make using Vim more productive and fun. Bill has far too many years of experience as a systems architect and software developer, working on everything from wiki software for Internet startups to global identity management solutions for Fortune 500 companies. 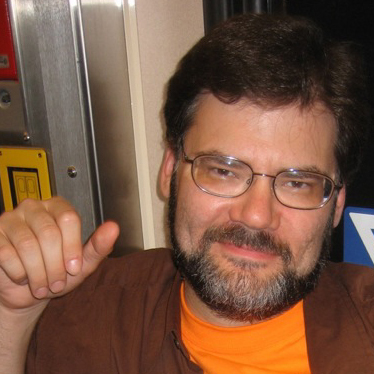 He’s an active member of the Open Source community, and even served as president of the Perl Foundation from 2005 through 2007 (but try not to hold that against him). He’s also a long-time user and advocate of Vim, and has given many well-received classes and presentations on Vim to several organizations throughout the US.